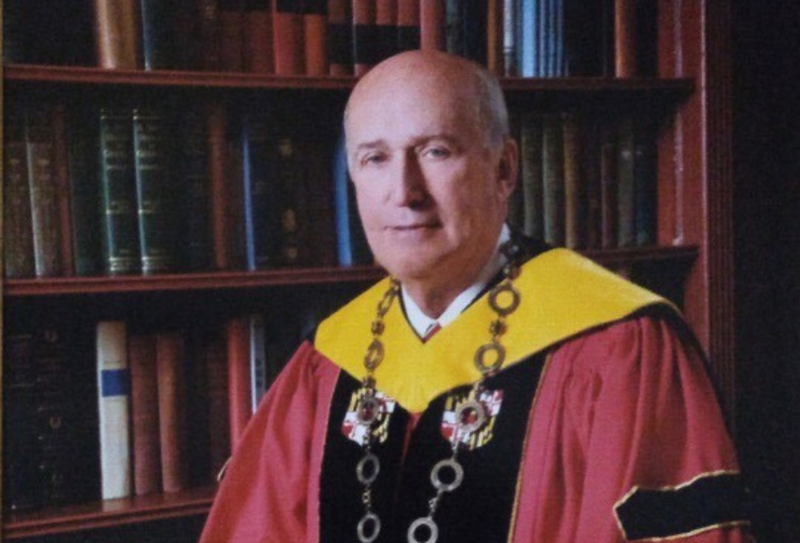 Donald N. Langenberg, a physicist and past president of the American Association for the Advancement of Science who led the University System of Maryland to national renown, died Jan. 25 at his home in Dickeyville, Md. He was 86. As a researcher at the University of Pennsylvania, Langenberg was part of a team that worked to develop the international measure of the volt. He spent most of his career, however, as an administrator, a role he was initially reluctant to take on but grew to love. Over three decades, Langenberg thrived in various leadership roles at the University of Pennsylvania, as deputy director of the National Science Foundation, and as chancellor of both the University of Illinois at Chicago and the University System of Maryland. “Don was an all-around incredible statesman for science,” said AAAS senior adviser Shirley Malcom, who collaborated with Langenberg at NSF and AAAS. Friends and colleagues from across the country traveled to Baltimore for a March 2 memorial service for Langenberg at the University of Maryland Medical School. They spoke of his integrity, kindness and intellect. Don Langenberg was born in Devils Lake, N.D., in 1932. The only child of deaf parents, his first language was American Sign Language. Worried that neighborhood boys were teaching their son improper speech, Langenberg’s parents sent him at age 3 to live with and learn English from his grandparents in Iowa. He returned to North Dakota after completing second grade and graduated from Devils Lake High School in 1949. As seniors at Iowa State University, Don and Patricia, née Warrington, were set up on a date by mutual friends. They went bowling and talked politics. After earning his bachelor’s degree in physics from Iowa State in 1953, his master’s from the University of California, Los Angeles in 1955, and his Ph.D. from the University of California, Berkeley in 1959, Langenberg completed two postdoctoral fellowships and joined the University of Pennsylvania as an assistant professor of physics in 1960. There, his research team became known for being the first to precisely measure the ratio of elementary charge to the Planck constant, a formula used in defining new international standards of voltage. In 1972, though initially disinclined to give up research, Langenberg accepted an offer to join the University of Pennsylvania administration, directing the Laboratory for Research and the Structure of Matter. He then served as the university’s vice provost for graduate studies and research from 1974 through 1979, when President Jimmy Carter appointed him deputy director of NSF. Langenberg went on to serve as chancellor of the University of Illinois at Chicago from 1983 to 1990 and chancellor of the University System of Maryland from 1990 to 2002. The system’s budget nearly doubled during those 12 years, reaching $2.7 billion by the end of Langenberg’s tenure. With the new leadership and increased spending came unprecedented prestige for the state’s higher education institutions. Among the initiatives that Langenberg spearheaded was the Maryland K-16 Partnership, which he founded with Nancy Grasmick, superintendent of Maryland Public Schools, and Karen Johnson, secretary of the Maryland Higher Education Commission. The program works to create seamless transitions as students progress from pre-kindergarten through college. During his career in higher education administration, Langenberg stayed active in the scientific community, serving as president of AAAS in 1991 and president of the American Physical Society in 1993. He also chaired the National Council on Science and Technology in Education at AAAS from 1996 to 2002. In a powerful President’s Address at the 1991 AAAS Annual Meeting, later published in the journal Science, Langenberg spoke about the civic duty of scientists in society. Too often, he argued, elected officials and the citizens they influence assess the effectiveness of universities and other publicly funded institutions in the absence of scientific knowledge, leading to misguided political and economic decisions. Advancing science, Langenberg continued, should be seen as synonymous with advancing society. In addition to his wife, Langenberg is survived by four children, seven grandchildren and a great-grandson.